Miss Haiti 2018 finale was a grand affair as Samantha Colas was crowned Miss Haiti 2018/ Miss Universe Haiti 2018 by her predecessor Miss Haiti 2017 Cassandra Chéry. The event finale held on 5th June 2018 at the Marriott Hotel crowned its representatives to Miss Universe 2018 and Miss International 2018. Samantha Colas will now represent Haiti at Miss Universe 2018 international beauty pageant to be held later this year.. The 25-year-old social communicator/ presenter gave a spectacular performance at the grand finale, thereby, winning the crown. Even at the preliminaries, Samantha was a frontrunner for the national title. Renowned artists such as Fatima, Atys Panch and Thamar performed at the grand finale of Miss Haiti 2018 making it bigger than ever before. Faviola, a famous Haitian Violin player, also gave a spectacular performance at the finale. As the ten delegates started off the finale, very soon Top 6 were announced by the panel of jury, namely Christelle Remedor, Melissa Brenda Maurisset, Nandy Latour, Samantha Colas, Merlie Fleurizard and Cristina Cadet Prosper. As the event came closer to crowning its two beauty queens, only Top 3 remained - Samantha Colas, Merlie Fleurizard and Cristina Cadet Prosper. 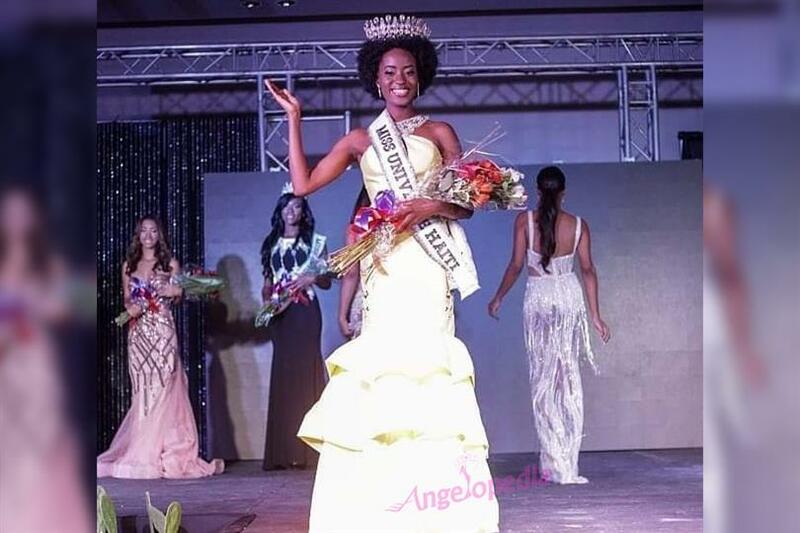 Merlie Fleurizard, who became the first runner-up at Miss Haiti 2018, won the title of Miss International Haiti 2018 and will now represent Haiti in Miss International 2018 beauty pageant to be held in Tokyo, Japan on 9th November 2018. What do you think of the crowned beauty queen?